During a one hour family session, I will dedicate up to 15 minutes for posed family portraits, then the other 45 minutes is dedicated to the family sharing in an activity. I always have a list of suggestions depending on the season and the location. This family opted to bring bubbles. 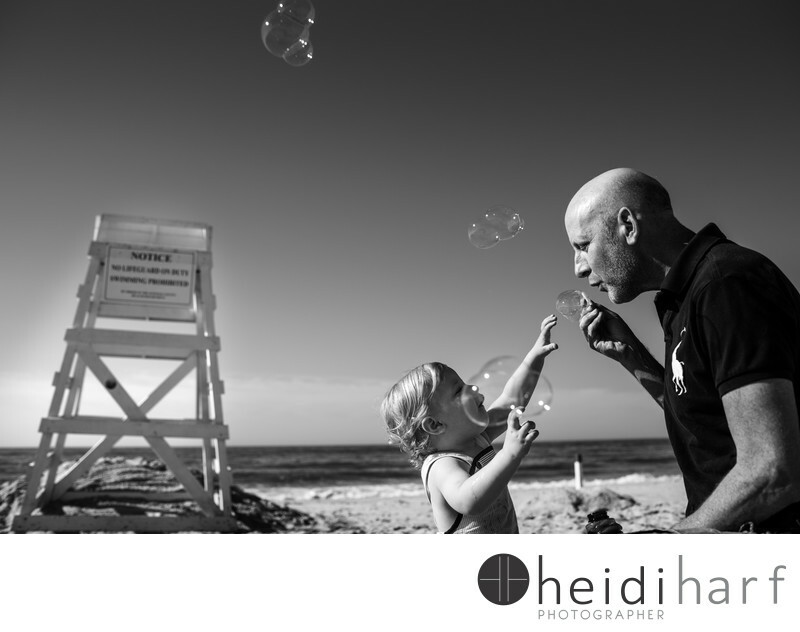 Everyone, big and small love bubbles and they make for great pictures. Location: flying point beach, watermill, new york.